It’s a great honour to be the new steward at Rainforest Rescue. Having spent many years working as an environmentalist, and much of that in the field of rainforest advocacy and protection, I’m grateful to now be responsible for the relationships, strategy and activities of this remarkable organisation. Rainforest Rescue has a long history of protecting rainforests – from the Daintree in Australia to the cloud forests of Ecuador, the great rainforests of Sri Lanka and more. From rich biodiversity that promotes resilience and renewal to ecosystem services that we all benefit from, like producing oxygen that allows us to continue breathing to the filtration of pure water that is essential to all life. Rainforests are critically important to the well-being of this beautiful planet, and they are themselves profoundly beautiful. Their tremendous richness, the diversity of life they nurture, the secrets they hold, their sheer wildness–rainforests are magical places that inspire scientists and artists alike–as they inspire all those who experience them. I can’t imagine anything more meaningful for us to protect. 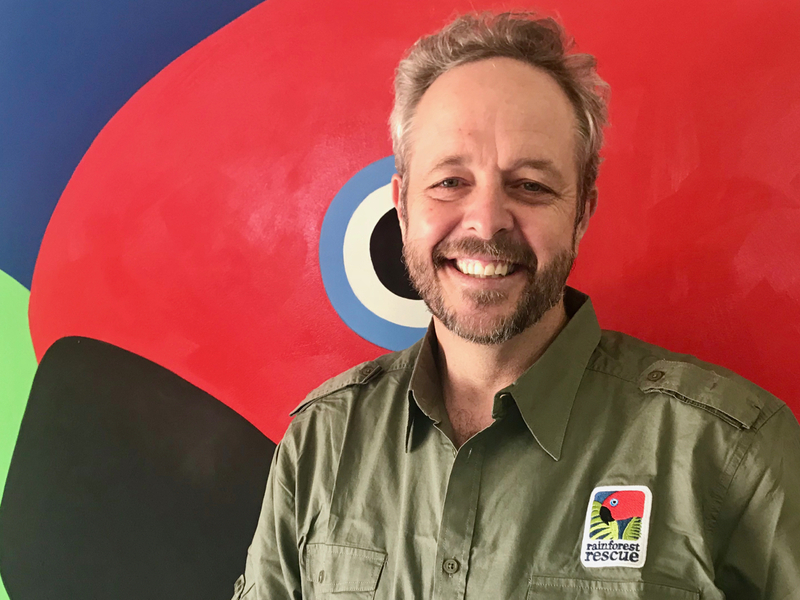 I encourage you to deepen your relationship with Nature, and I hope you will join Rainforest Rescue on some of our adventures in our local, globally-recognised powerhouse of life, the Daintree. There's nothing like visiting it in person. Join us! Together we will protect more and more rainforests. Putting it back is the right thing to do. Protecting it is essential. Thank you for being a part of Rainforest Rescue. I’m looking forward to working with all of you. With your ongoing partnership and support, we will continue to Protect Rainforests Forever!